Heroes in the Heartland Recap! The First Responders Foundation was recognized for our “Commitment to Community” by the American Red Cross at this year’s Heroes in the Heartland awards luncheon on March 11. Watch the video that was shown at the awards ceremony, featuring our President and Executive Director Ray Somberg, board member Jim Hanson, Omaha Police Chief Todd Schmaderer, and Bellevue Fire Chief Perry Guido. 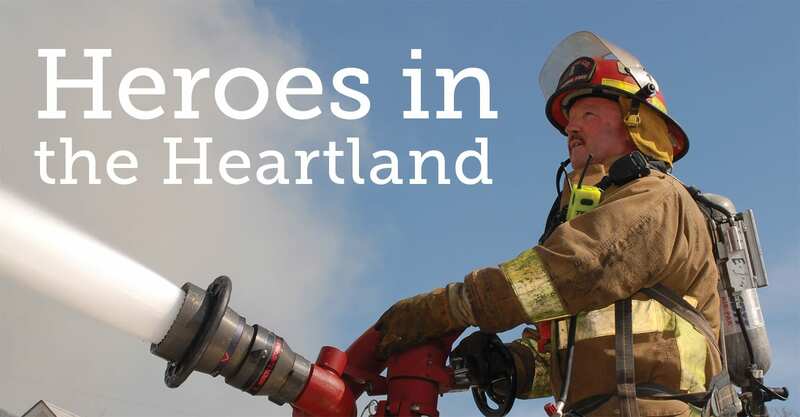 The Heroes in the Heartland Awards Luncheon honors individuals from Southwest Iowa and the Omaha metro who have saved another person’s life during the past year or who have positively impacted the quality of life in the Heartland in other ways. This signature event, held each year on the second Wednesday in March, originates from the organization’s belief that qualities of bravery, commitment, dedication and selfless behavior should be recognized and honored. Nearly 700 guests attended the Heroes in the Heartland event in 2014. The event was featured in seven stories aired by media partner WOWT, as well as in articles from the Omaha World Herald and Metro Magazine. Together with our sponsors and guests, we raised nearly $200,000 for the American Red Cross. Click here to see photos of Heroes in the Heartland 2014! The next Heroes in the Heartland Awards Luncheon will be held on Wednesday, March 11, 2015 from 11:45 a.m. to 1:00 p.m. at Embassy Suites La Vista. Please contact Paul Holubeck at 402-343-7760 or paul.holubeck@redcross.org more details. Foundation President and Executive Director Ray Somberg Interviewed by WOWT on Heroes in the Heartland Award! The First Responders Foundation is excited to announce our inclusion alongside some of the most heroic individuals in the region at the 15th Annual American Red Cross Heroes in the Heartland Awards. The awards recognize those who have positively impacted our quality of life through bravery, dedication and selfless behavior. “We are thrilled to once again recognize everyday heroes: ordinary people performing extraordinary acts, who were nominated by the community,” said Jill Orton, Region CEO.